The National Security Agency announced last week that it will stop collecting Americans’ emails about foreign targets. However, this is a small amount of data compared to the rest of the information that the NSA collects. Sen. Ron Wyden, D-Ore., said that in order to enforce this policy in the long term, he plans to write legislation that requires the NSA to continue the restriction. 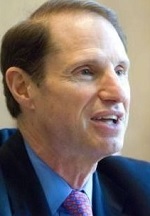 Sen. Ron Wyden, D-Ore., said he plans to write legislation that requires the NSA to continue the restriction. Wyden asked how many Americans have their phone calls, emails and other communications swept up under section 702 of the Foreign Intelligence Surveillance Act, which is intended to target people overseas. Wyden asked for this number in 2011, renewed his request in 2012, and asked the executive branch to reveal in 2014 that the NSA, CIA, and FBI search for Americans’ communications without obtaining a warrant, according to a statement from Wyden. According to a Privacy and Civil Liberties Oversight Board report, 91 percent of the Internet communications that the NSA picks up annually are from another program, PRISM. The report said that completely domestic communications could be acquired as much as 0.197 percent of the time. The total amount of data that the NSA collects indicates that this small percentage is actually a fairly large amount of data, according to Hu. The Foreign Intelligence Surveillance Court estimated that this type of data collection could result in the government obtaining tens of thousands of documents per year. Other privacy experts said that the NSA can do more to protect the rights of American citizens. The NSA’s decision occurred during a review of its surveillance practices. The NSA reviewed its surveillance program and decided to stop collecting U.S. citizen’s emails about foreign targets to avoid inadvertently collecting information about people who don’t communicate directly with a foreign target. The NSA said that it will delete the “vast majority” of Internet communications by U.S. citizens that it has already collected as soon as possible.